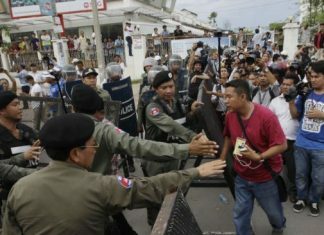 FILE PHOTO - Riot police officers stop journalists from entering a blocked main street near the Cambodia National Rescue Party (CNRP) headquarters, on the outskirts of Phnom Penh, Cambodia, Monday, May 30, 2016. Washington, D.C – Cambodia’s freedom is on the decline as the ruling party strengthens its grip on power and builds a dynasty for Prime Minister Hun Sen, according to Freedom House. 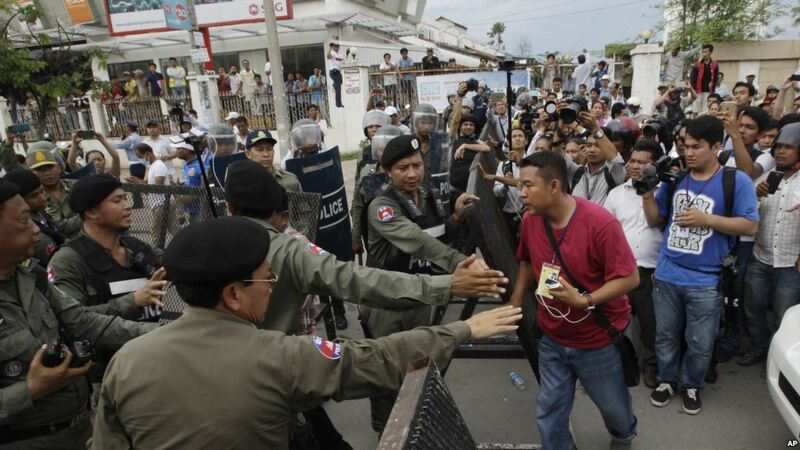 “Cambodia’s prime minister, Hun Sen, fortified his near-total grip on power in lopsided general elections that came after authorities dissolved the main opposition party and shuttered independent media outlets,” the report reads.